A Christmas Carol in Prose, Being a Ghost-Story of Christmas, commonly known as A Christmas Carol, is a novella by Charles Dickens, first published in London by Chapman & Hall in 1843; the first edition was illustrated by John Leech. A Christmas Carol tells the story of Ebenezer Scrooge, an old miser who is visited by the ghost of his former business partner Jacob Marley and the Ghosts of Christmas Past, Present and Yet to Come. After their visits Scrooge is transformed into a kinder, gentler man. Dickens wrote A Christmas Carol at a time when the British were examining and exploring Christmas traditions from the past, such as carols, as well as new customs such as Christmas trees. He was influenced by experiences from his own past, and from the Christmas stories of other authors, including Washington Irving and Douglas Jerrold. Dickens had written three Christmas stories prior to the novella, and was inspired to write the story following a visit to the Field Lane Ragged school, one of several establishments for London's half-starved, illiterate street children. The treatment of the poor and the ability of a self-interested man redeeming himself by transforming into a more sympathetic character are the key themes of the story. There is discussion among academics as to whether this was a fully secular story, or if it is a Christian allegory. Published on 19 December, the first edition sold out by Christmas Eve; by the end of 1844 thirteen editions had been released. Most critics reviewed the novella positively. The story was illicitly copied in January 1844; Dickens took action against the publishers, who went bankrupt, further reducing Dickens's small profits from the publication. He went on to write four other Christmas stories in subsequent years. In 1849 he began public readings of the story which proved so successful he undertook 127 further performances until 1870, the year of his death. 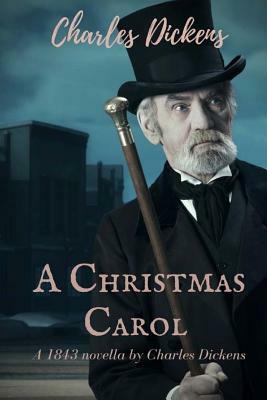 A Christmas Carol has never been out of print and has been translated into several languages; the story has been adapted many times for film, stage, opera and other media. With A Christmas Carol, Dickens captured the zeitgeist of the mid-Victorian revival of the Christmas holiday. He has been acknowledged as an influence on the modern Western observance of Christmas and inspired several aspects of Christmas, such as family gatherings, seasonal food and drink, dancing, games and a festive generosity of spirit.